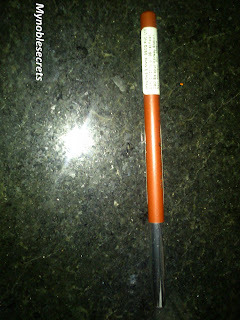 ﻿This product is an imported from USA and distributed by delhi company. Jordana Lip liner Pencils Lines, Defines and gives shape to your Lips. It leaves Gentle and soft texture. 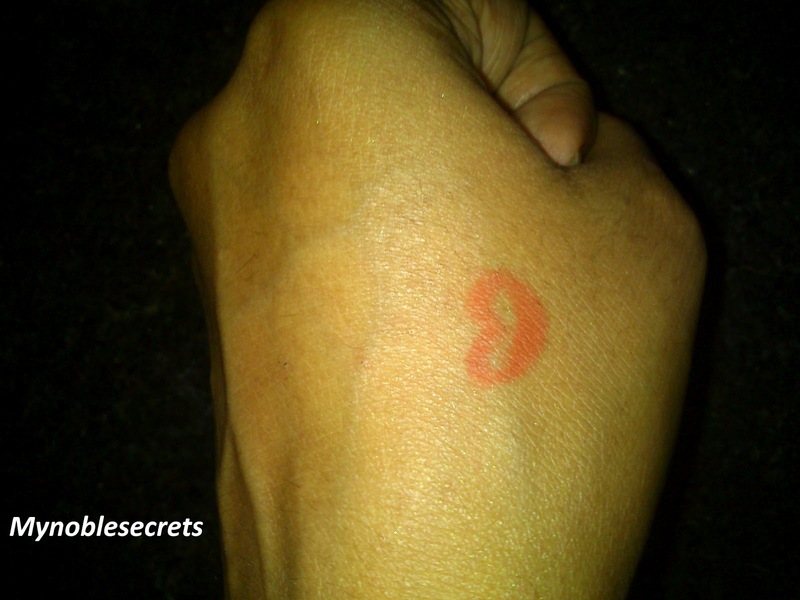 Made with a long lasting, Non- feathering and thus creates a perfect makeup artist lips. Hydrogenated Vegetable Oil, Synthetic Japan Wax, Synthetic Beeswax, Quaternium-90 Bentonite, Quaternium-18 Bentonite, Hydrogenated Cottonseed Oil, Methylparaben, Propylparaben, Bht, Butylparaben, Citric Acid. +/-May Contain: Manganese Violet (CI 77742), Red 27 Al Lake (CI 45410), Red 7 Ca Lake (CI 15850), Carmine (CI 75470), Mica (CI 77019), Titanium Dioxide (CI 77891), Iron Oxides Red (CI 77491), Iron Oxides Black (CI 77499), Bismuth Oxychloride (CI 77163), Red 30 Lake (CI 73360), Iron Oxides Yellow (CI 77492), Yellow 6 Lake (CI 15985), Red 28 Al Lake (CI 45410), Blue 1 Al Lake (CI 42090). It is a medium length lip liner pencil and easy to carry with you anywhere. 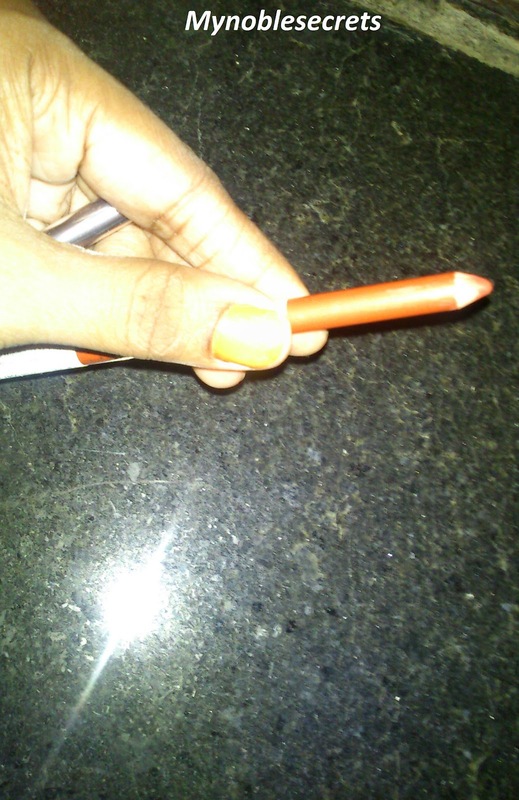 The texture of the lip liner is very creamy and it has great pigmentation. It is a coral shade and can go well with any shades of lipstick other than pink lipsticks. I was so eagar to check out the swatch of this Lip liner. So immediately after received I have tested this swatch on my lips with lipstick. Wow, I am so lucky and my money got saved. The swatch is just perfect for the lipstick and fine going with my another pink lippe too. I am so happy to have a good product like this. This one water proof can not be swipe off and finely making creamy line on my lips. Covers the whole lip very nicely. ﻿The swatch of the lip liner on my hand is same as original look. Jordana has variety of lip liners and so many colours. All are fabulous and wonderful. Actually nothing :) but the lip liner tip getting wasted by sharpening every time. It is just a wonderful lip liner brand and all girls can go ahead with this Jordana range of lip liners. I am gonna try their lipsticks. Hope this Review is very useful for you all. Lovely color. I think it will go well with my apricot nectar from lakme nine to five range. You can even use it as a full lip color right? I have the same in Spice...kinda burnt orangy shade :) Does urs arrest bleeding of lipstick? ?